Explanations for some of the questions rose commonly. How important is inflation pressure for tyre life? What is the damage or failure occurs due to over inflation or under inflation? Right inflation of the tyre ensures that the tyre touches the road on the whole width and the tread wears off equally along the whole width while the tyre has optimal absorption properties and good comfort of driving. The right inflation pressure is a basic condition of long service life of tyres. Inflation pressure values should follow the recommendation of car or tyre producer. Under inflation: tyre shoulders worn fast because the load is concentrated on this area and the tyre failed prematurely before the full life of the tyre expected. Over inflation: tyre crown center worn out fast because the load is concentrated on this area and the tyre failed prematurely before the full life of the tyre expected. Where can I get the correct inflation pressure for the tyre size? You can get the correct inflation pressure for the tyre size from our catalogue or leaflet which you can get it from our shops, distributors’ shops or retailers. You can also get it on this website for each tyre size. What is the common tyre damage or failure due to improper usage of tyres? The most common problems are tyre failures due to over or under inflation pressure, tyre damage at bead area due to improper mounting, tyre damage due to wheel alignment problem and spot wear due to break stack. I have observed on my car tyres wear on one side shoulder of the tyres, what could be the reason? 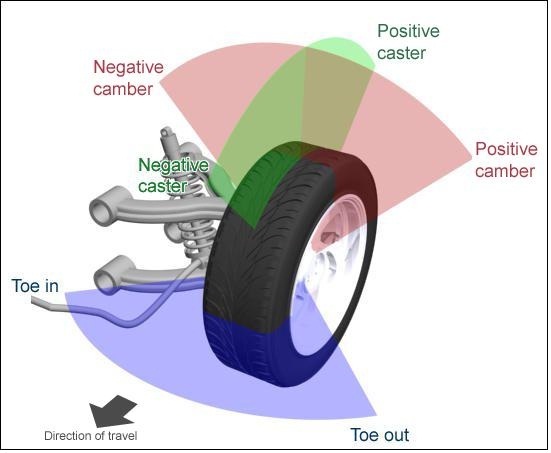 These can be from wheel problems like camber in or camber out or from other wheel problems toe in-toe out therefore please check the technical conditions of your car wheels. At normal condition the tyre should touch the ground in full width of the tyre crown and the tyres should be straight to the car moving direction. Where should I fit new radial tyres I bought from your company? Is it important to fit tyres by machine? Where should I get fit new radial tyres I bought from your company? Is it important to fit tyres by machine? Tyres should be fitted as much as possible by professional at tyre service centers using proper tyre mounting machines. Specifically radial tyres should always be mounted using tyre mounting machines on clean, rust free, undamaged, free of bent and not welded rim. This is because our passenger radial tyres are tubeless and the tyre should be fitted on the rim airtight and should not leak air. Additionally the bead area should not be damaged. You can find tyre service from our distributors giving service at Teklhaymanot area and Tikure Anbessa area. There are other centers in the city which have tyre service machines and you can use one of them as long as the tyre changer is in good condition and don’t damage tyre bead area.